Every aspect of Collective was created with your experience in mind. From the moment you turn onto West Frederick Middle School's property, to the moment you are greeted by our Connections Team, to the moment you drop your kids off at Collective Kids, to the moment you sit in the gym and worship with us - it was designed with you in mind. Collective's service lasts 60 minutes and we want you to dress comfortably and come as you are. We also have an incredible children's ministry called Collective Kids that was designed for birth through 5th grade and your kids will leave wanting to come back the following week. From the moment you turn onto West Frederick Middle School's property, you will find strategically placed signs directing you to our entrance. We even have a Family Drop-Off to make it easier on parents with little ones. 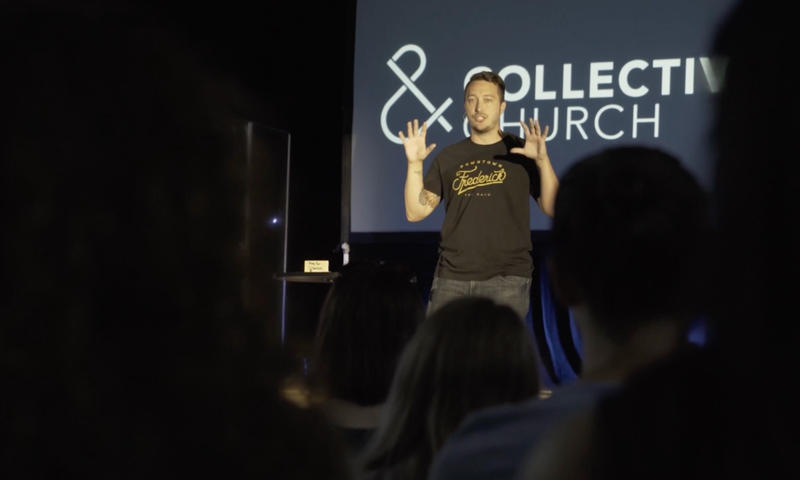 Our hope is that you don't just come to Collective but you Get Connected. Stop by the Get Connected table to learn more about joining a Collective, joining the team, or partnering with us to make an impact in Frederick. Grab a warm cup of Starbucks Coffee or make a cup of hot tea before heading into the gym for worship because #coffee. As a family, we provide a special Check In process that makes bringing your children to Collective Kids as easy as possible. We're here to make your visit the best it can possibly be. We celebrate God by singing songs about his love for us as the band leads us in engergetic and engaging worship. Through the messages at Collective, you'll hear relevant and practical teaching from the Bible that impacts your life no matter where you are on your spiritual journey. We love to laugh, be real, and learn about Jesus. Everything we do as a church is because of Jesus so every week we celebrate what Jesus has done for us by taking communion. We invite people to remember that because of Jesus, we can experience hope, grace, and a relationship with God. As a First-Time Guest at Collective, we want you to partner with us in making a difference in our community. By taking the time to fill out a Connection Card dropping it off at the Guest Table, we will donate to a local organization that is making an impact in Frederick County. Click Here to learn more about the organizations with partner with. As a Second-Time Guest at Collective, we want to say thank you for coming back and spending your Sunday morning with us. Stop by the Guest Table on your way out to grab a free gift, which is our way of saying "thanks for coming back."